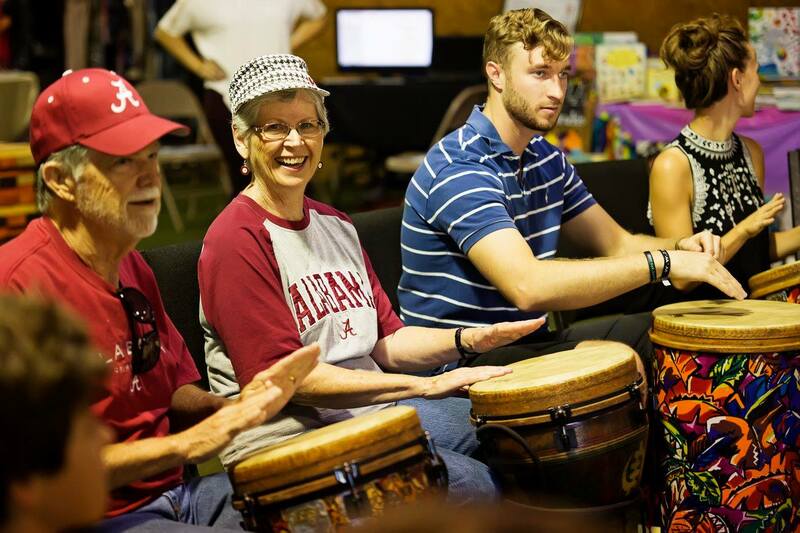 Come have fun while learning how to play a variety of drums and other percussion instruments regardless of your musical ability. ALL are welcome! Drums, rhythm, food, sweet treats, FREEBIES and… LOADS OF DOOR PRIZES! General Admission: $5 (Includes entry and participation in drum circle) Get your tickets early through Eventbrite, or at the door. *If you have your own drum or percussion instrument, bring it along! Dinner and refreshments will also be available for purchase. All proceeds benefit Kwathu Children’s Home, a global partner organization of Grace Klein Community.